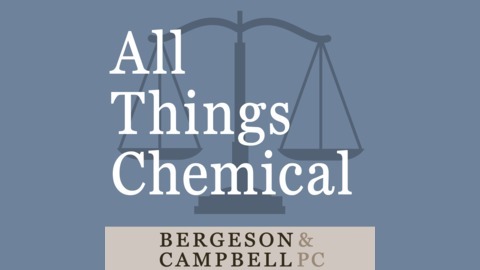 All Things Chemical is a podcast produced by Bergeson & Campbell, P.C. (B&C®), a Washington D.C. law firm focusing on chemical law, business, and litigation matters. All Things Chemical is hosted by Lynn L. Bergeson, managing partner of B&C. 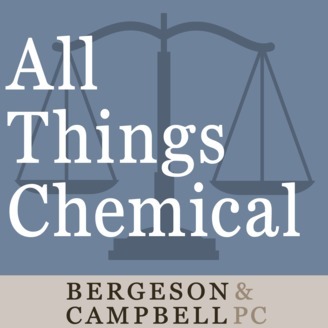 In each episode, we bring you intelligent, insightful, and engaging conversation about everything related to industrial, pesticidal, and specialty chemicals, as well as the law and business issues surrounding chemicals. Our incredibly talented team of lawyers, scientists, and consultants keep you abreast of the changing world of both domestic and international chemical regulation and provide analysis of the many intriguing and complicated issues surrounding this space. This week, I invited my friend and business colleague, the former U.S. Ambassador to Belgium, Howard Gutman, into the studio to talk about what every CEO needs to know about the world right now. I know I say this a lot, but it’s really true this time around: We covered a lot of ground in this conversation. Howard provides his perspective on what to pay attention to with regard to Brexit, energy policy, climate change, trade, the globalized economy, and the 2020 presidential election. Ambassador Gutman also provides advice on how to manage business perception, create opportunities from regulatory changes, and even shares some helpful thoughts on how to fill board seats to be more innovative. Howard’s resume is, well, extraordinary. He is a Harvard educated lawyer, who clerked for the U.S. Court of Appeals for the Fifth Circuit. He worked for Cravath Swaine, left its employment to clerk for Supreme Court Justice Potter Stewart, then worked for the celebrated Washington D.C. powerhouse litigation firm, Williams & Connolly, which is where Howard and I became friends, as he counselled Bergeson & Campbell. Howard went on to become Special Assistant to FBI Director Bill Webster, and then rejoined Williams & Connolly. Throughout his legal career, politics was always part of Howard’s DNA. Howard has worked with Al Gore, Bill Clinton, and Barack Obama, who named Howard U.S. Ambassador to Belgium in 2009, a post he served until 2013. Howard is also an actor -- he is a card carrying member of the Screen Actors Guild and has appeared in the HBO series K Street, Tim Robbins’ Film Noise, and the 2009 film Fame. Howard’s consulting firm, The Gutman Group, focuses on a broad array of cross-border investment, market access, venture capital, and international relations issues.